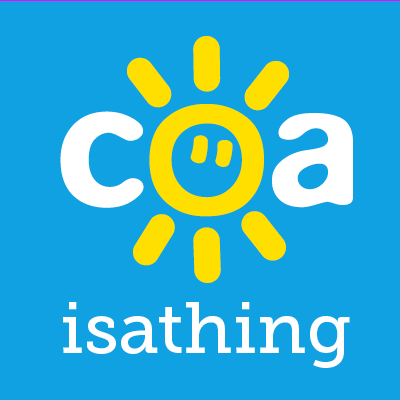 There Is Hope – Being a COA is a thing! This piece was bravely written by Laura. If you feel affected as a COA, then Nacoa are always able to offer help and support, no matter what your age and if you want to share something then get in touch here. A while ago, after leaving many years before hand, I went back to my old home where I grew up with my alcoholic mum. I stood in the same place I use to when I was little. I would often cry there, looking out to the garden, trying to work out why life was so unfair. Going back as an adult made me think of this poem for all the children out there going through what I went through. You will one day look in the mirror and smile. You will one day have a drink and not think about your parents. You will one day look back and think, ‘did that really happen?’. You will one day not cry for a whole month. You will one day find friends that live you for who you are and your past. You will one day understand that you can tell a friend a deep secret and they won’t go and tell everybody else. You will one day stop saying sorry when it is not your fault. You will one day have the strength to stand up for yourself. You will one day believe that you are liked for who you are. You will one day find someone who loves you and that you trust. You will one day sleep a whole night without waking up and worrying where your alcoholic parent is. You will one day put yourself first and feel god about it. You will one day not have to worry about the gas being left on and the house being burned down. You will one day want to talk about your past and tell someone how horrible it was. You will one day believe you can achieve. You will one day realize you can control your mood. You will one day miss a call and not think, ‘oh no something bad has happened’. You will one day be able to relax. You will one day realize that your parents addiction is not your fault. You will one day stop worrying where your purse is and if your parent is trying to steal from it. You will one day have a bedroom that your alcoholic parent won’t look through. You will one day have a bedroom/house that you are proud of. You will one day be excited to bring back friends to your house and not feel anxious. You will one day be in control and have everything how you like it without someone wrecking it. You will one day smile for the whole day. You will one day go a whole month without feeling depressed about how your parent is affecting your life. You will one day believe that it will all be ok.
You will one day believe that you will not be an alcoholic. You will one day pass your driving test. You will one day have a whole month of dinners that won’t be burnt to a crisp by your alcoholic parent. You will one day have a nice front door that you won’t be afraid to open and worry about what is on the other side. You will one day have a birthday and want to celebrate it and think, ‘you’re worth it‘ (yes just like the hair adverts). You will one day be, and most probably are, an anchor of strength for lots of people who are in awe of you. You will one day love yourself and your past as it made you the beautiful person you are today. Next Post Every Negative Situation Can Also Teach You A Positive One. Absolutely beautiful poem! Thank you for sharing. Indeed, that one day does come. Powerful message!